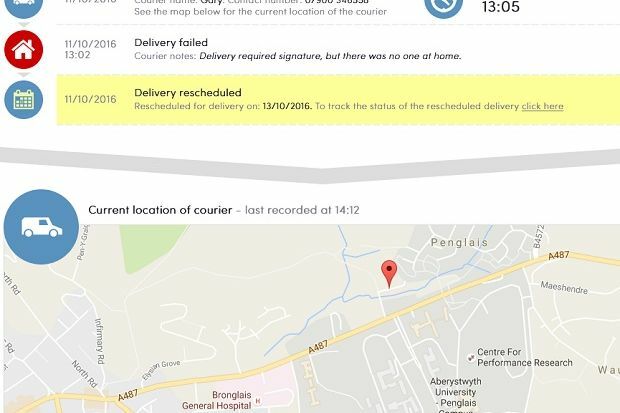 How did delivery difficulties drive an independent pharmacy contractor to find a unique solution? C+D and the National Pharmacy Association (NPA) have joined forces to launch Pharmacy Show and Tell – an initiative aimed at gathering fresh evidence of the benefits of pharmacy services. Over the coming weeks, we’ll be publishing a series of case studies on the C+D website, highlighting the innovative, interesting and exciting work being conducted by pharmacies and pharmacists across the UK. In the third in the series, Gary Jones of Borth Pharmacy in Aberystwyth, Wales, explains how he developed the ProDelivery Manager app to improve efficiency and customer service. “Pure frustration” prompted Mr Jones to look for a technical solution to his pharmacy's medication delivery problems. When he searched for existing options, he found nothing that met his requirements – so he decided to develop one himself. The crunch came when his delivery driver asked for a month’s leave, and he realised he needed a back-up system to manage the 100-plus deliveries the pharmacy makes each day. He approached a local app developer he had worked with before, and asked him to come up with an app that could show a map of the location of patients who needed deliveries, and give the new driver directions to follow. The app needed to be “person-based, not parcel-based”, so it would work with the patient medication record (PMR) system. He discovered “within the first week” that the benefits of the new system went far beyond planning an efficient route for the driver. He could also track deliveries – including recording when they had been made and who had accepted them (see below). He described the efficiency savings as “massive”, and estimates the app has saved his pharmacy “£2-3,000 a year” by allowing him to cut the hours he needs to employ a driver each week, from 40 down to 26. The app now has a “suggestions box”, which pharmacists can use to ask for developments they would like to see. This means the app is constantly being developed “by pharmacists, for pharmacy”, he explains. He aims to develop the app so that it's not just about delivering medicines, but providing a “communications channel” for patients who don’t come into the surgery, allowing them to book flu vaccinations and other services. But while he has no interest in replicating a PMR system, he says: “I need to be able to go onto the system and see everything that is going on in the pharmacy.” His app may provide an efficient way of doing just that. 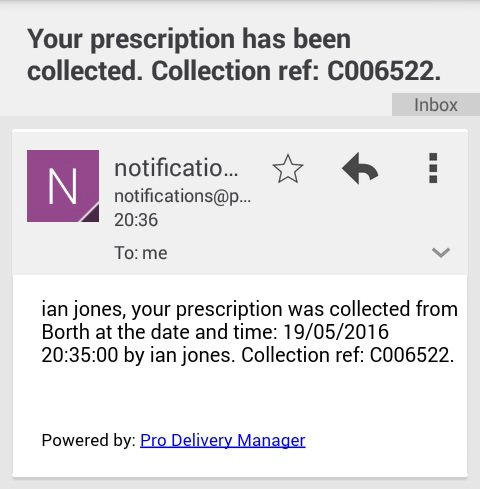 Commenting on Mr Jones's app, NPA chairman Ian Strachan said: “ProDelivery Manager was developed by a community pharmacist, for the community pharmacy sector, so the product is really made to measure for the needs of pharmacies today. "It proves once again that innovation is a feature of independent community pharmacy and we need more initiatives like this one to drive the sector forward,” he added. For more information about ProDelivery Manager, visit its website. Got a pharmacy story to show and tell? Join C+D and the NPA's campaign on social media using the hashtag #PharmacyShowTell and share your story by emailing [email protected] with the subject line 'Pharmacy Show and Tell'. All 'Show and Tell' case studies will be showcased on C+D's dedicated webpage. What are the hottest apps for pharmacists and patients? Would this technology help your pharmacy?